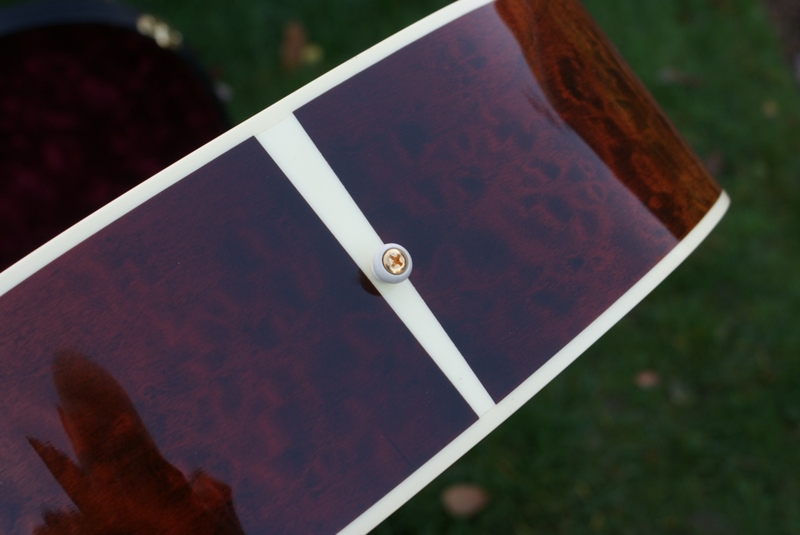 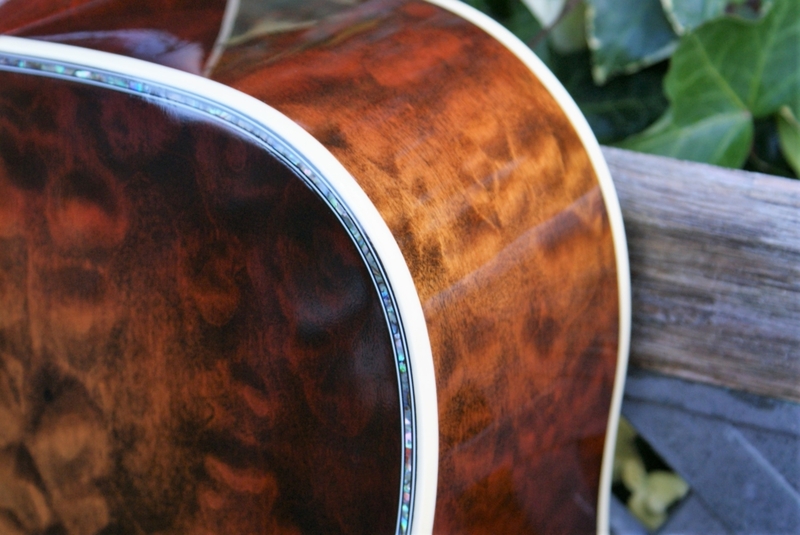 This unique & stunning guitar was built in 2015 as part of a very limited run of these quilt backed dreadnoughts. 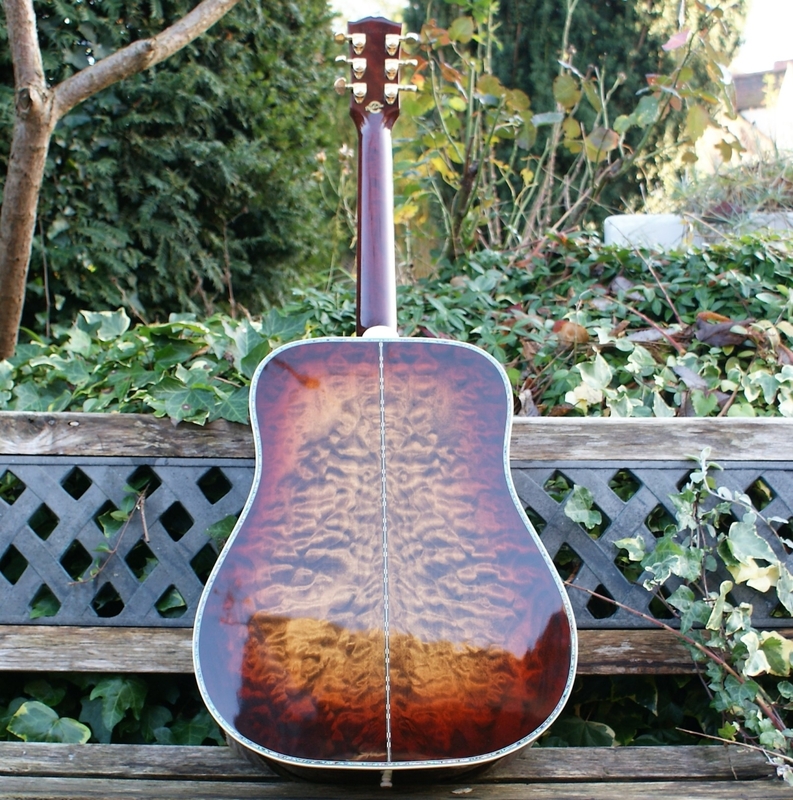 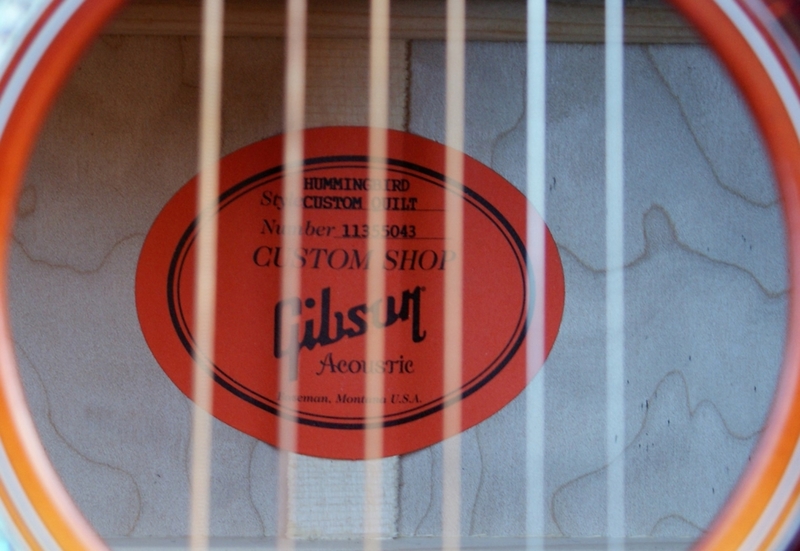 Made by some of the finest luthiers in the country. 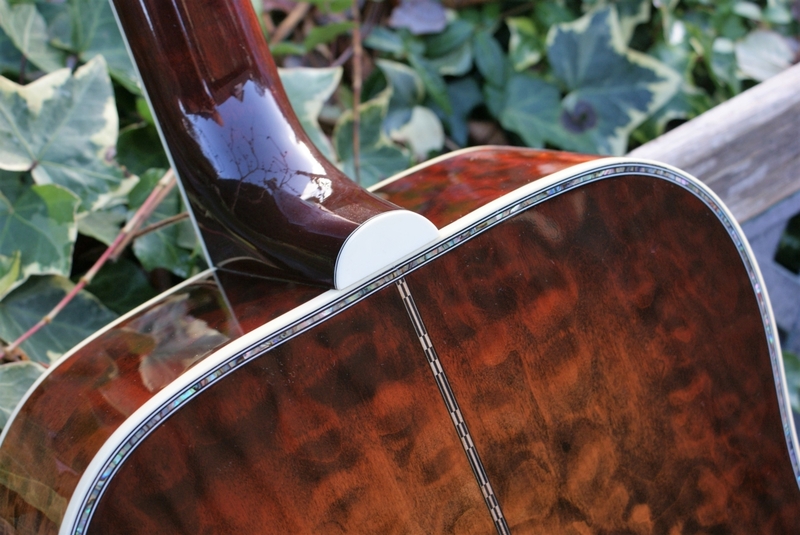 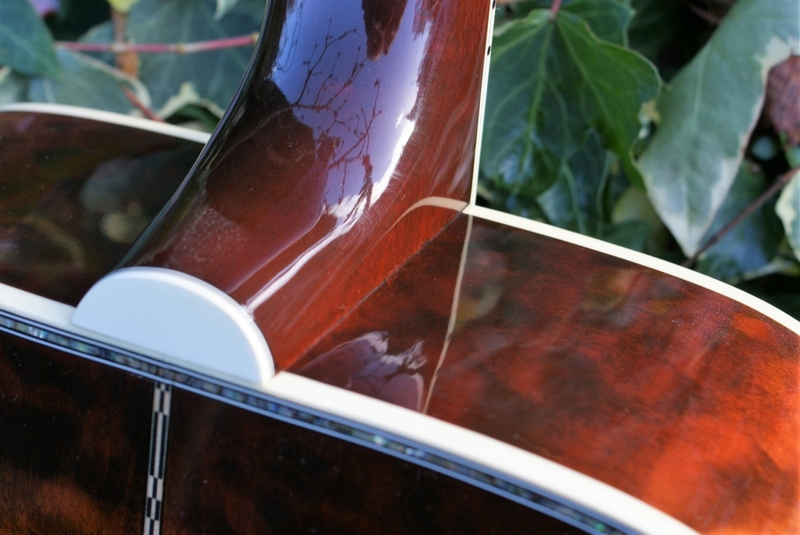 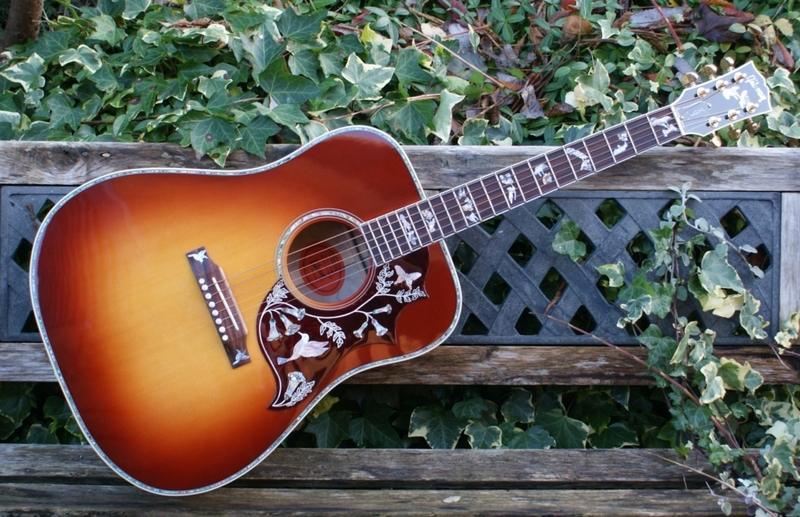 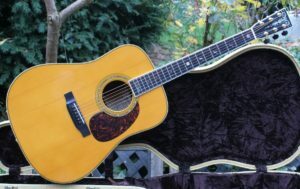 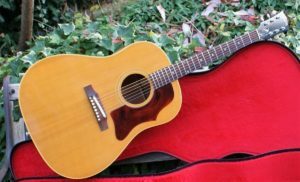 Going back over half a century, the square-shouldered Hummingbird dreadnought acoustic guitar has been one of the defining instruments in the world of modern music. 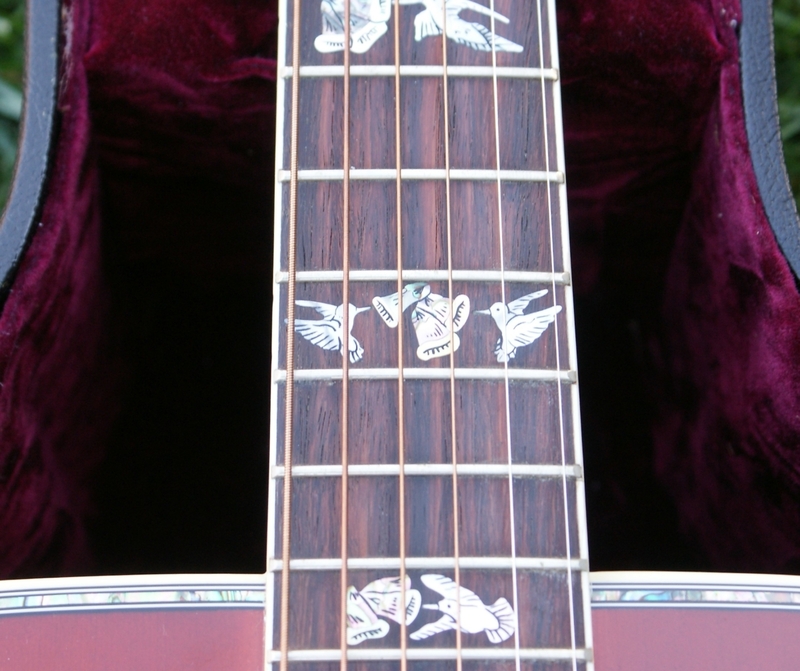 And among the countless Hummingbirds made over the years, there are comparably few out there quite like this one. 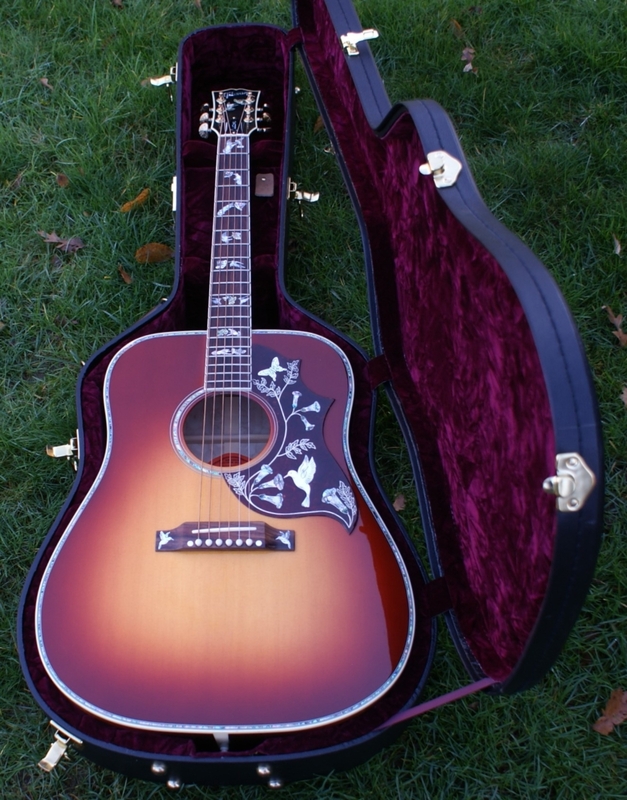 With its exotic tonewoods and custom appointments, this is one truly extraordinary Gibson Acoustic Hummingbird Custom Quilt 2015 acoustic guitar. 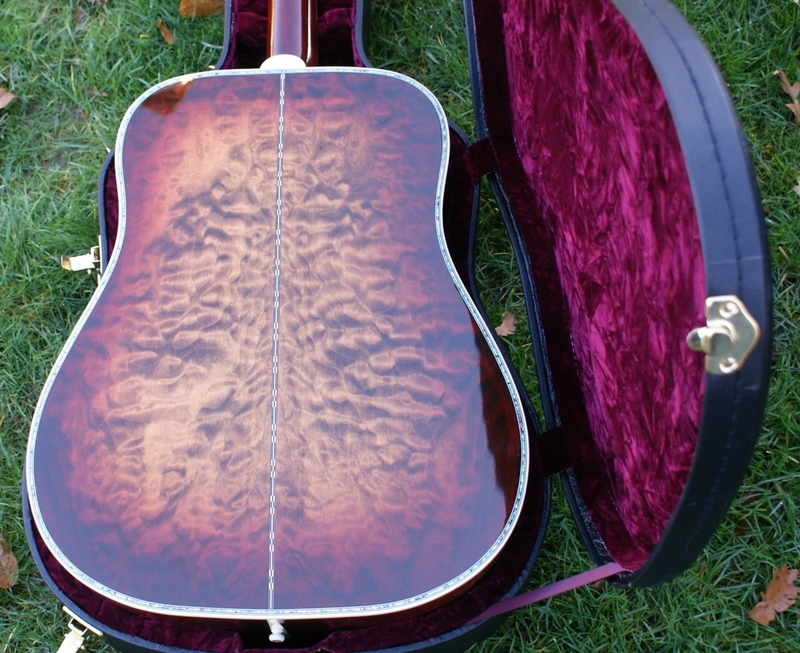 This one really stands out among all of them, as it has the most sumptuous of maple quilts. 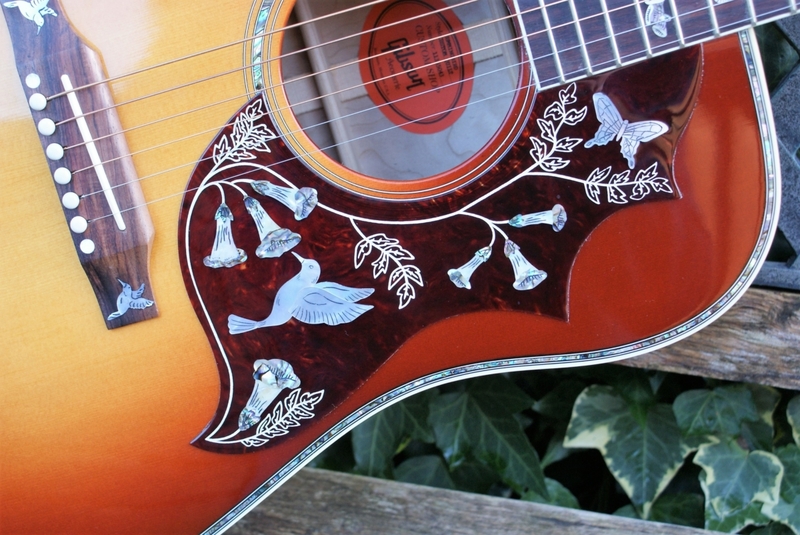 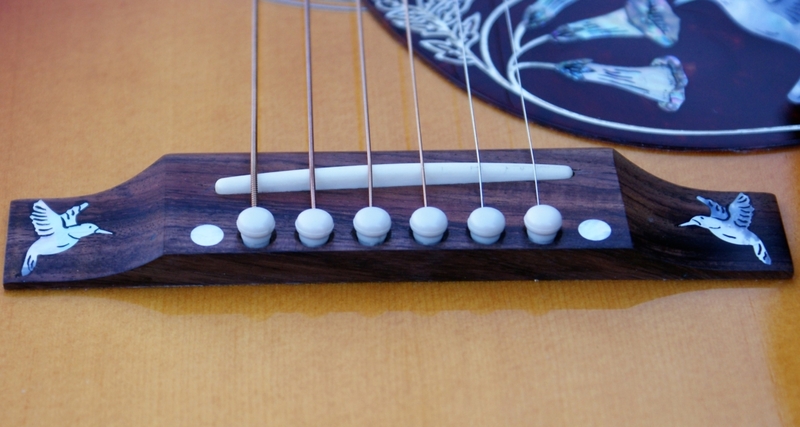 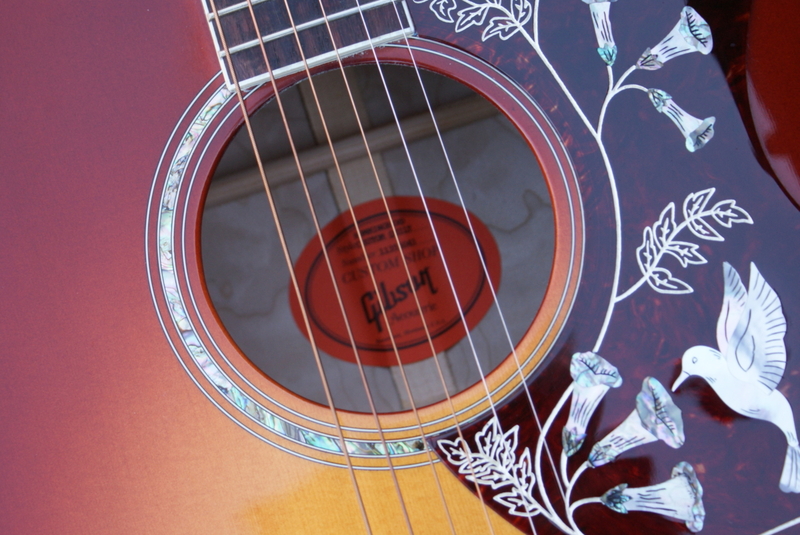 All the fingerboard & matching scratchplate inlays are of different hummingbirds, butterflies & flowers & hand engraved & made from the finest abalone. 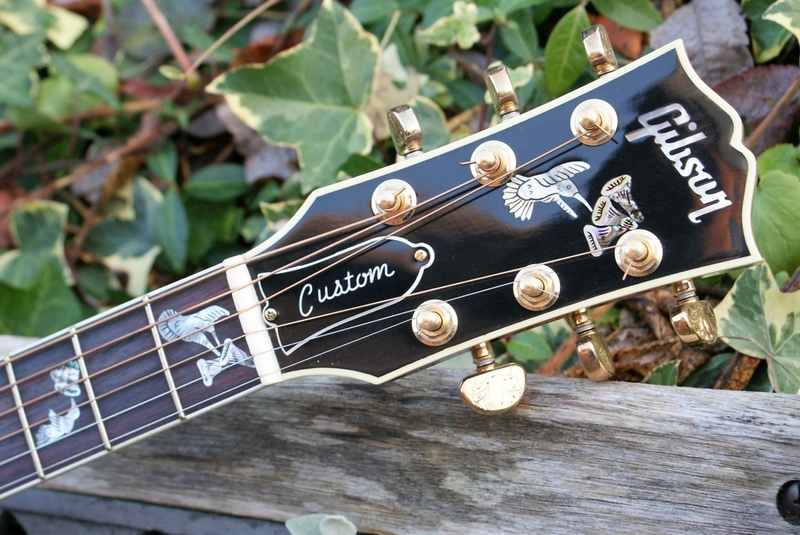 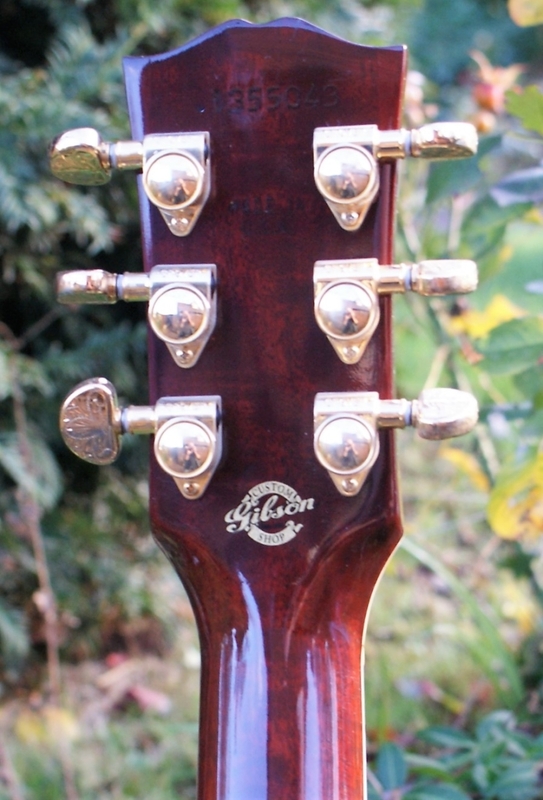 Her gold Grover machine heads are also beautifully engraved. 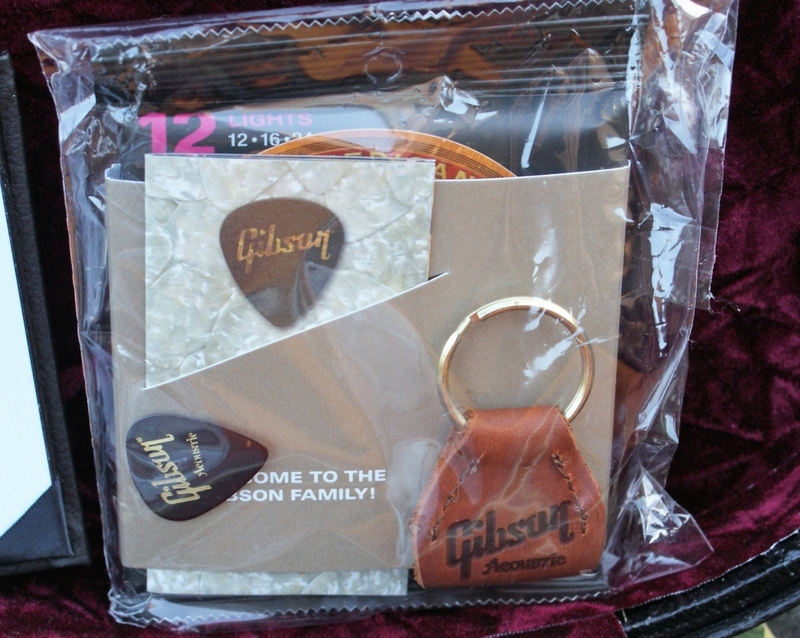 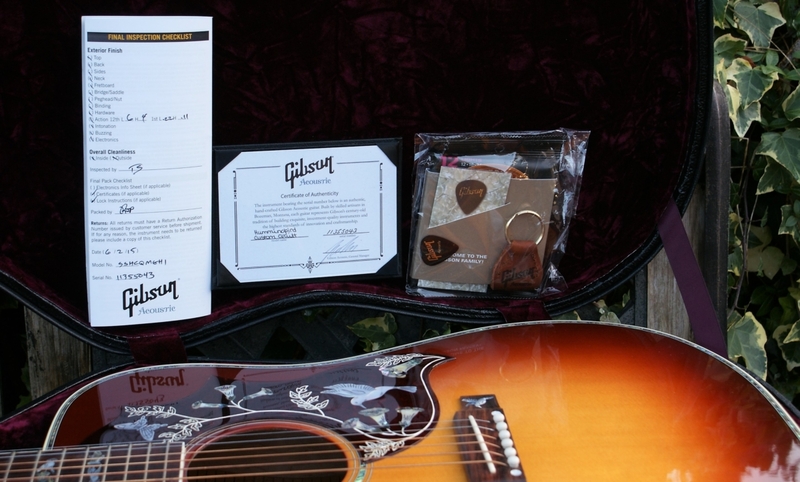 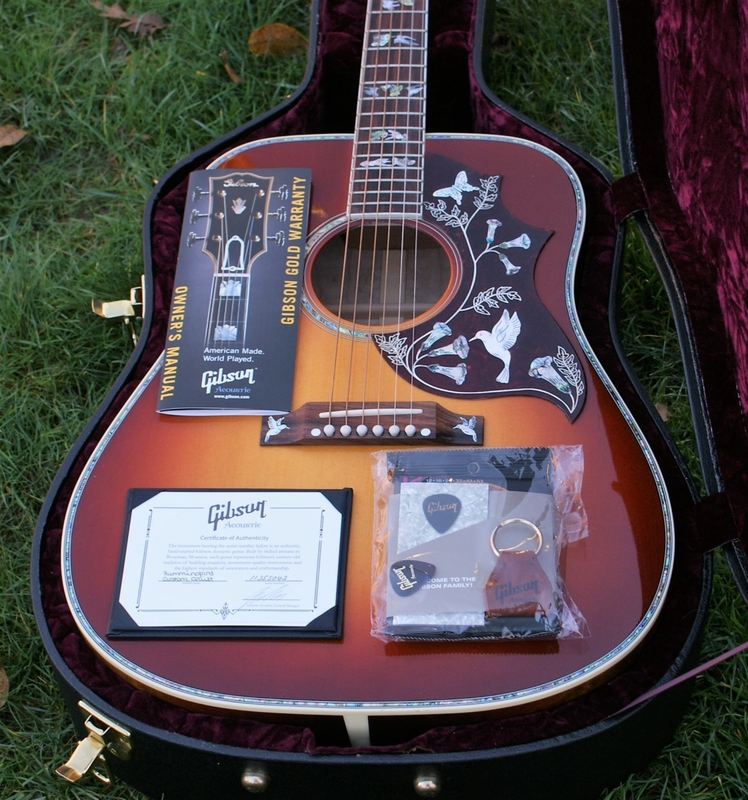 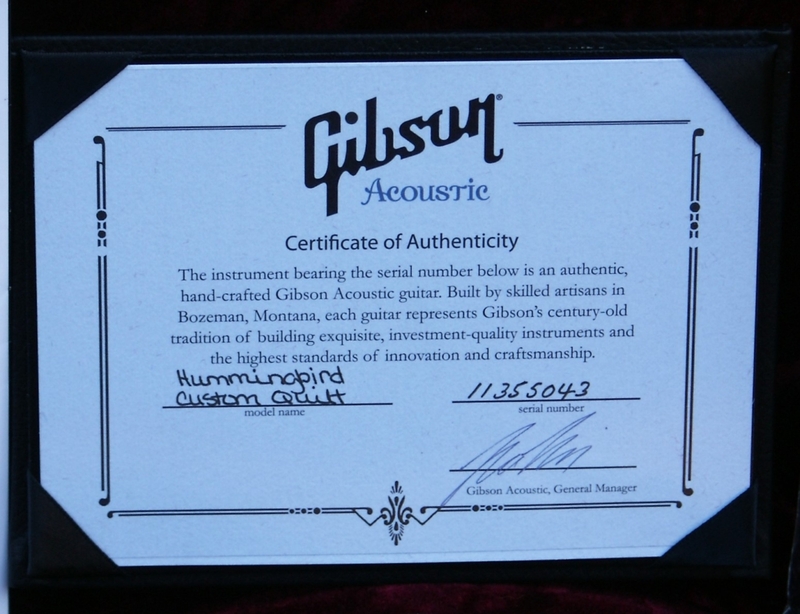 She comes in totally unplayed/mint condition & still has the un-opened presentation (Strings, picks, fob etc) goodie pack, along with the COA, Final Inspection Checklist & plush lined case. 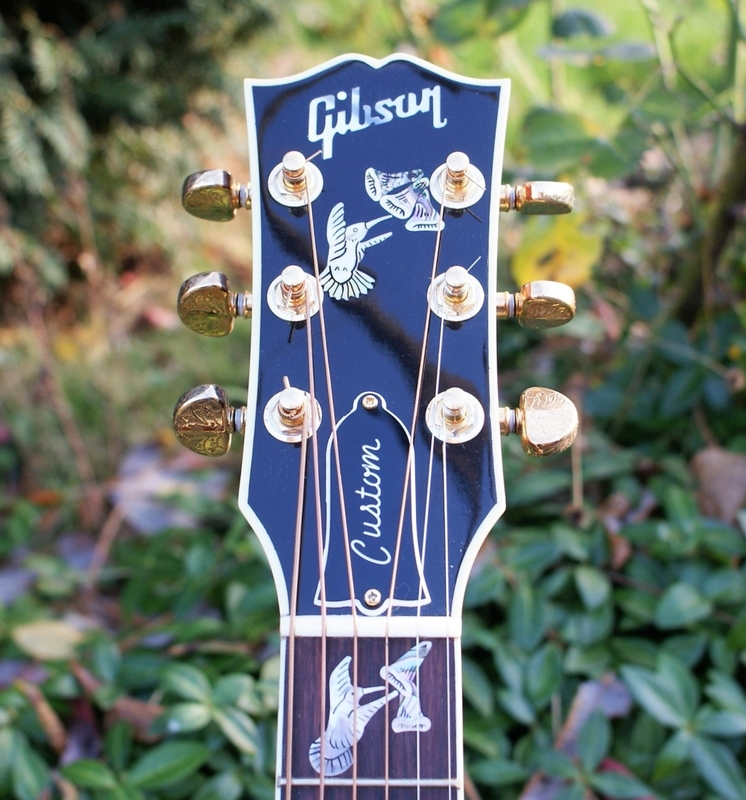 The sound on this rare bird is of par excellence & definitely one of the sweetest I have ever heard on a dreadnought, with a beautiful sustain & with her effortless playability, this must surely be one of the finest Gibsons out there! 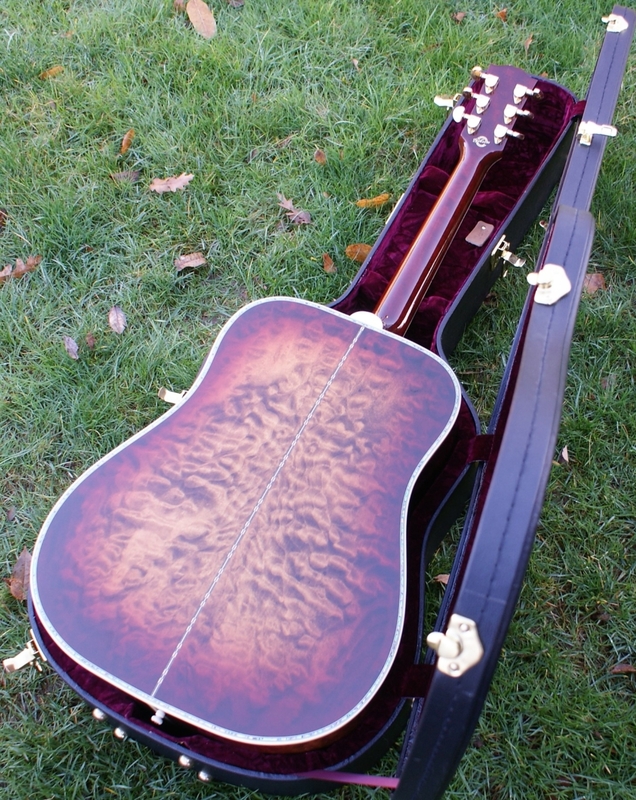 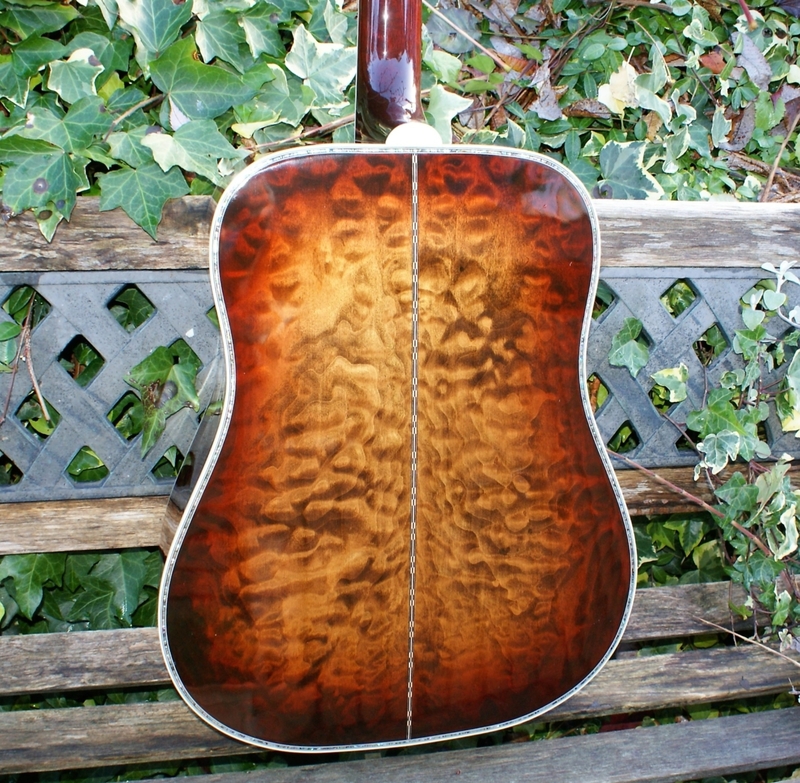 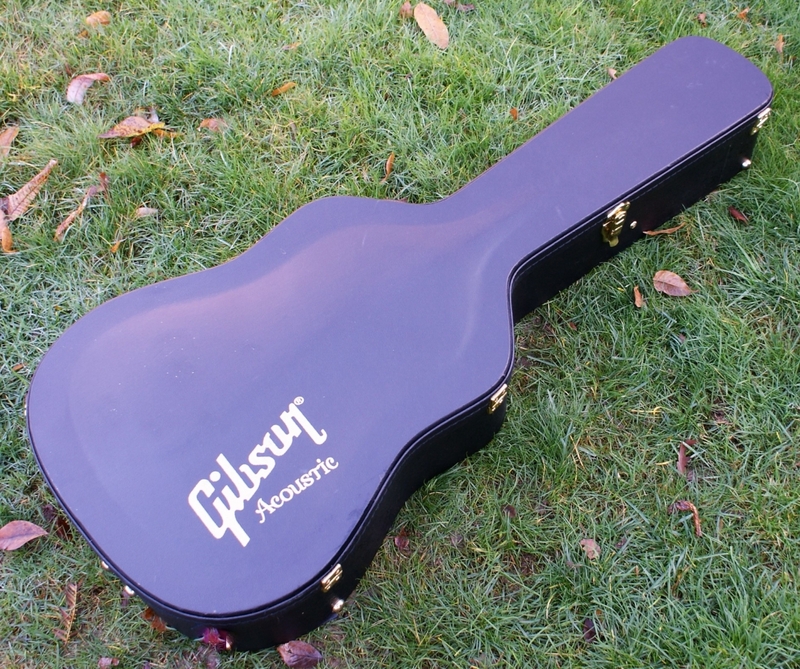 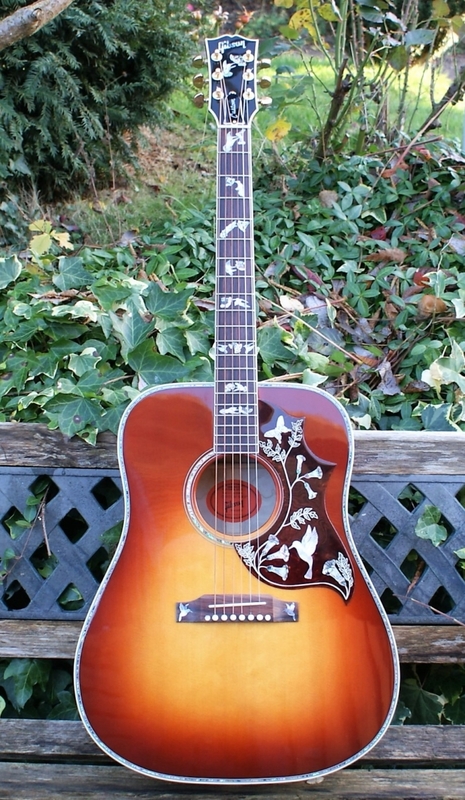 Finished in a stunning, hand-sprayed new Vintage Sunburst top finish. 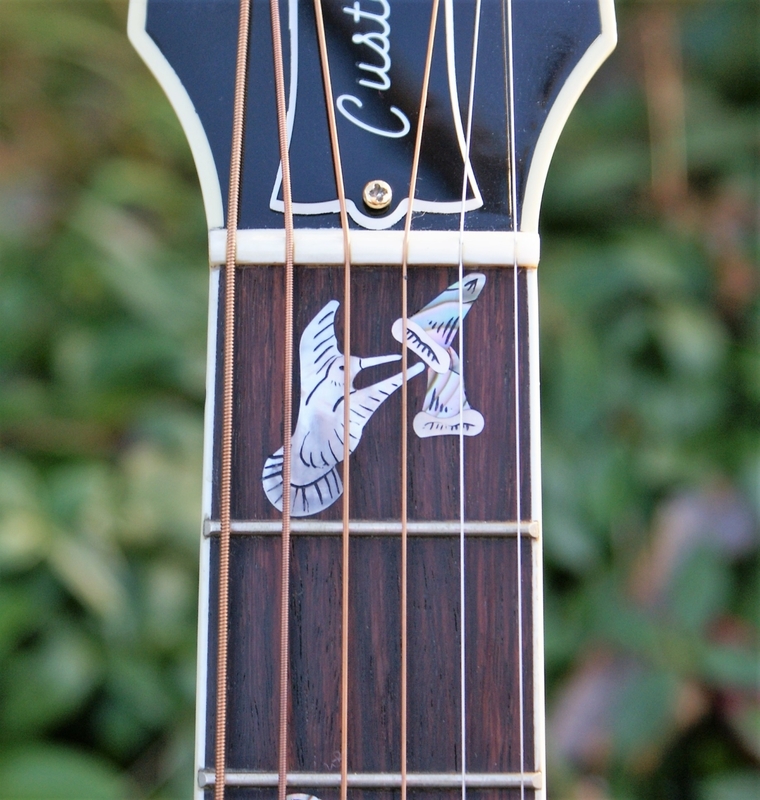 The tone wood combination of spruce and maple allow for a bright, but balanced sound true to the Hummingbird’s reputation as a player’s dream.